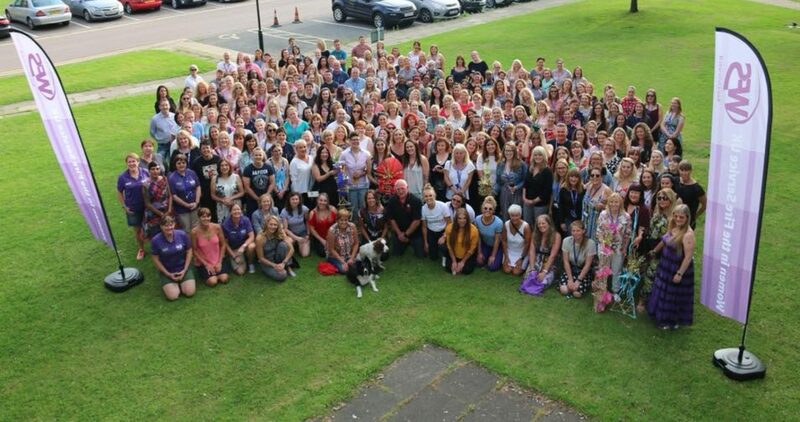 What a fabulous weekend we had at our Training & Development weekend on 16-18 June. We welcomed 185 delegates from over 32 National Fire & Rescue Services as well as International delegates from Switzerland, and the United Nations including Fatoumata Samake Mali’s first female firefighter and Sunita Sharma. The weekend began with delegates enjoying the ‘Drum Cafe’ icebreaker session on the Friday afternoon. Our opening ceremony included welcomes from Jules Gilbert-King, WFS Vice Chair and Robin Whittington, Head of Training at the Fire Service College. Our keynote speaker was Vix Anderton, who specialises in women’s issues in peace and security, following a career as an RAF intelligence officer. A presentation was made to Anne Waters (Treasurer of WFS from 1997-2016), a Gold Award -‘in recognition of her outstanding commitment, dedication and support for over 20 years which without her, WFS would not be the organisation it is today’. Saturday commenced with 44 delegates attending a ‘boot camp’ run by Kathryn Billing (Cornwall FRS) whose energy ceases to amaze us! Delegates were kept busy attending operational and classroom based workshops all day Saturday and Sunday included the WFS Annual General Meeting, followed by more workshops with the event closing at lunchtime. Read a summary of delegates feedback by clicking on the link below.